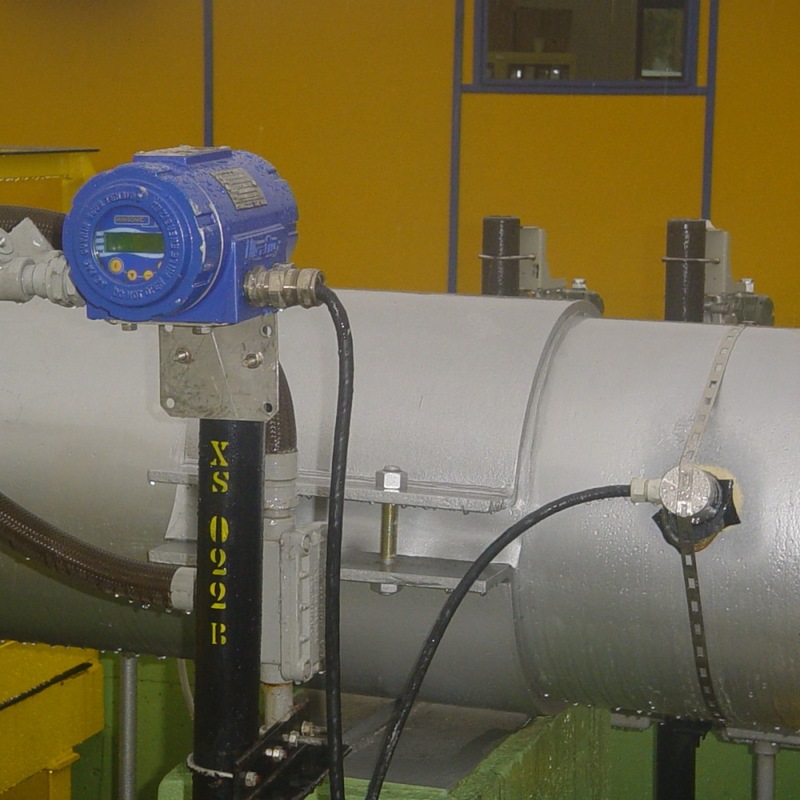 The main function of an interface detector is to monitor the type and quality of a refined oil product while it is being transported by pipeline. It measures the speed of sound and assesses this measurement in relation to certain other physical dimensions (such as density and concentration) to precisely monitor the transported products and can, in particular, quickly detect any change (the “interface”) during pumping. As the detector only needs a probe installed on the outside of a pipe, the related analysis can be carried out at any point on the pipe in total safety (e.g. a kilometre upstream of a station). As a result, our interface detectors are commonly called information gathering hydrometers. However, they can in no way be used as official hydrometers. For companies that transport oil products using pipelines, it is vitally important to be able to monitor in-line the quality of the products being shipped or delivered and, even more importantly, to detect any changes. This technique is perfectly suited to refined products, such as LPG (liquefied petroleum gas), diesel, naphtha, petrol and aviation fuel (Jet A-1). Moreover, it could be suitable for use with crude oil and heavy oils and fuels. The use of ultrasound to characterise a medium is also relevant to the chemical industry, which could use this method to analyse a concentration or to correctly dose a mixture. For example, the speed of sound produces an interesting change in sulphuric acid at a concentration of between 75% and 100%. Similarly, ionized salt changes the speed of sound in water (+ 1 m/s per g/l for NaOH). One of the major pipeline operators in France has been placing its trust in us for over 30 years, with more than 150 measuring points, exclusively in refined products, on 8″-32″ diameter pipelines. We also have numerous measuring points on refined products and storage facilities across the country, for example, in Le Havre, Harfleur and Metz. In Europe, our equipment is recognised by NATO. We equip, for example, British and German pipelines, in addition to Belgian and Dutch military networks. We are also present in the chemical/petrochemical industry, where the speed of sound can provide information on concentration (mainly of ionized solutions) or detect the phases of solvents (or bases) used in a process. In Asia, our products are used everywhere from Turkey to Thailand and India. In South America, an important pipeline manager uses a very large number of Ultraflux products. Our devices are so easy to install that it is possible to take temporary measurements during work on a pipeline (such as deviations) in order to acquire information on the product in the line and the position of the spheres. Discover our interface detector: Minisonic ISD.